Caring for children is not just a job to us. It’s part of who we are and what we have always wanted to do. We have a love and passion for teaching and creating a safe and loving environment for children to learn and develop in. Our classroom provides children the opportunity to climb, build, pretend, create, discover, and imagine. 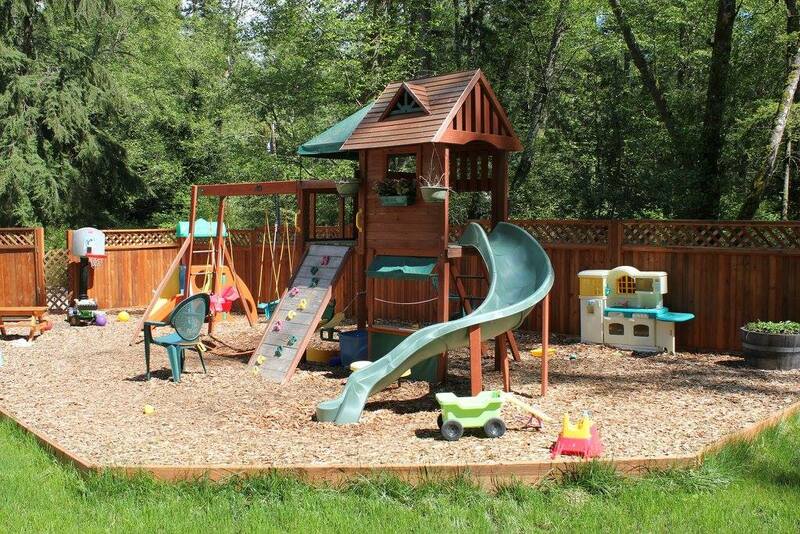 In our large fenced play yard children can run, dig, slide, cultivate, investigate, and explore. We offer parents the flexibility to choose their drop-off and pick-up times and only pay for the time they need (7 hr. min.). Call or Text Jenny (206) 437-4906 or email ([email protected]) for questions or you can fill out our Waitlist request form on our website. If we haven’t responded within a week, please feel free to email again or call! We hope we have the opportunity to care for your little ones when a spot becomes available! We are currently full for the 2017-2018 school year and have around 10 children on our waiting list. Love and Laughter has been caring for Vashon’s littlest ones since 2009!